This is a much harder post to write than the Worst Books Round-Up, because 2014 was full of excellent reading, and keeping it down to a mere ten choices is extremely hard to do. Most (all?) 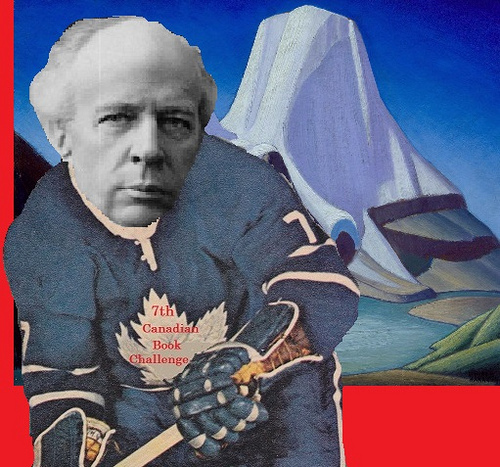 are “vintage”, because I was mainly reading books published between 1900 to 1999 as part of a Century of Books project. Here are the top tennish, loosely organized countdown style from the merely excellent to the very best. by B.J. Chute ~ 1956. A charming rural romance about a young man under a curse, the village maid who loves him, and the two preachers who share the church and differing views on the Devil and Eternal Damnation in the idyllic village of Greenwillow, time and country unknown. A cleanly written noir novel centered on a devoted mother’s protection of her teenage daughter from a blackmailer after an inconvenient man turns up very dead. 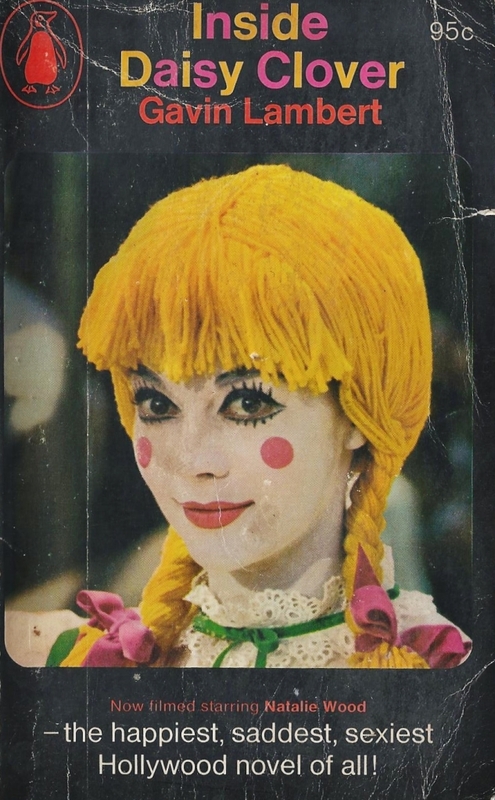 Fictional tale told via the diary of thirteen year old Daisy Clover as she is discovered by a manipulative film magnate and turned into a Hollywood star. The tale of two families and their unequal relationship, due in large part to a secret wrong perpetrated by the father of one family upon the widowed mother of the other. My very first Whipple, but definitely not my last. Women, aging, and societal unfairness. One of von Arnim’s more serious novels, and deeply poignant. 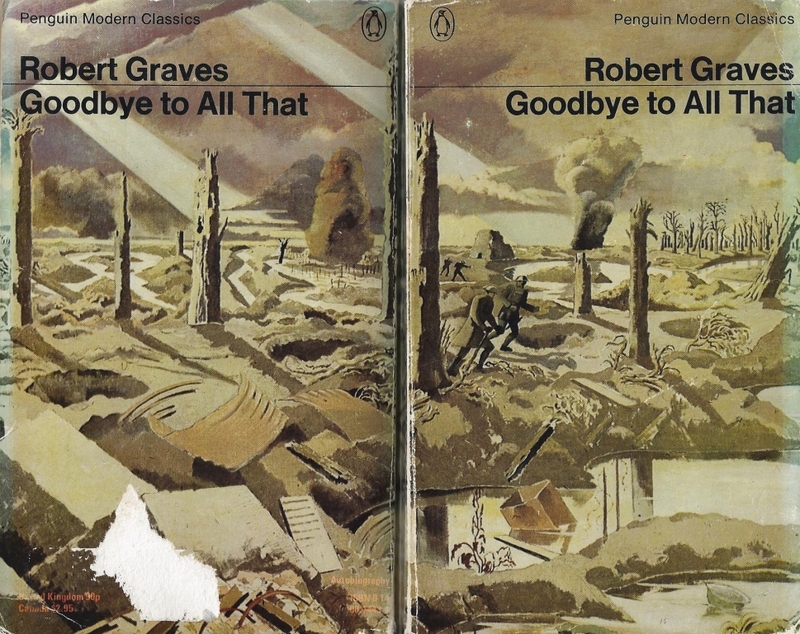 Poet and writer Robert Graves’ outspoken memoir of his school days, time in the Great War trenches, and attempt at post-war normalcy. Opinionated and cranky and exceedingly good. 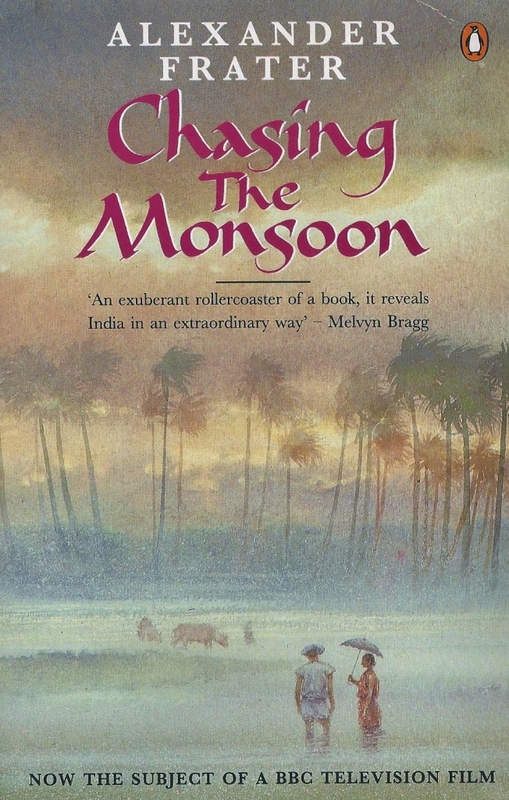 A 1980s air-travel epic, and an examination of the meteorological phenomenon of the Indian summer monsoon. I read both of these while road-tripping, and they were mesmerizing. Just the thing to fall into at the end of a long day: journeyings much more exotic than one’s own, written up with polish and grace. Excellent travel writer whom I was unaware of prior to my on-a-hunch acquisition of Beyond the Blue Horizon; I will be looking for more by him in future. 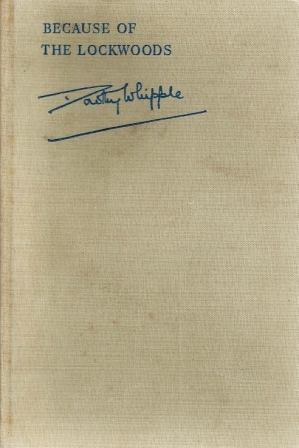 Fictional autobiography of a 99-year-old woman, 1848-1948. Melodramatic, funny, poignant. 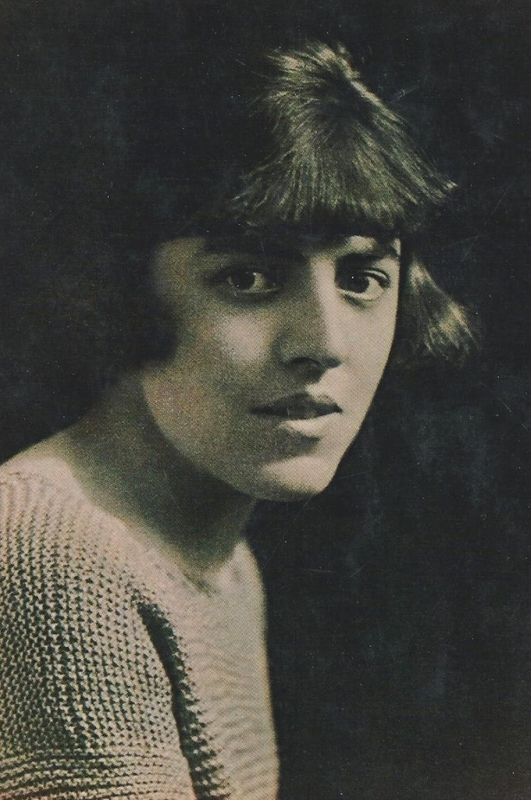 Dodie Smith in 1921, aged 25. The novelist and playwright turns her attention to herself, and finds much to say about her personal life and times. Dodie Smith’s magnum opus, and, in my opinion, after spending much of the year tracking down and reading her more obscure novels after being bowled over by the wonderful I Capture the Castle some years ago, the best thing she ever wrote. A huge undertaking, reading these, and worth every effort it took to track these mostly out-of-print autobiographies down. Portrait of a girl growing into womanhood and on into middle age, from the beginning of the Great War to the end of World War II. Starting off on a Mediterranean island near Malta, and progressing quickly to mist-huddled England, Cathy never loses her desire for the warmth of the sun. An unusual book, gloriously cynical and beautifully styled. 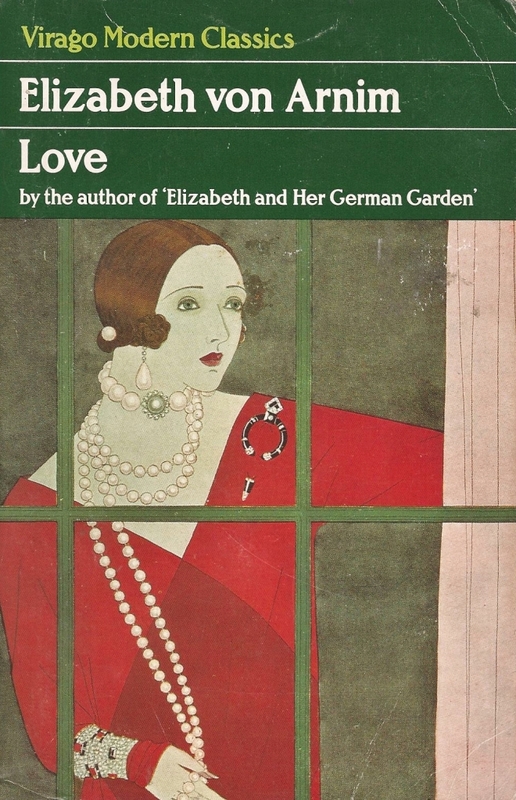 Spring Always Comes by Elizabeth Cambridge ~ 1938 ~ A low-key, thoughtful novel examining the characters of a vicar’s family – mother, father, four children – and the nature of personal fulfillment and one’s larger responsibility to the society one lives in. Started out slowly but drew me in completely. Gorgeous novel. Try Anything Twice by Jan Struther ~ 1938 ~ A collection of essays on a multitude of topics by the author of Mrs Miniver. 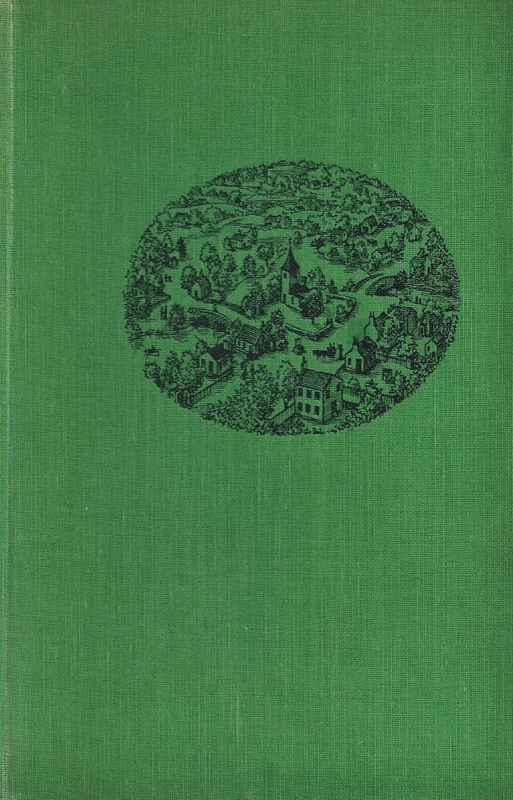 Greensleeves by Eloise Jarvis McGraw ~ 1969 ~ A gorgeous bildungsroman concerning the daughter of celebrities who is given a chance to temporarily reinvent herself as a nobody. The Visiting Moon by Celia Furse ~ 1956 ~ Fictionalized memoir of a Victorian childhood Christmas. Charlotte by Norah Lofts ~ 1972 ~ Inspired by the real life murder accusation against teenage Constance Kent, this noir suspense novel is chillingly mesmerizing. Did Charlotte kill her young stepbrother? And if not, who did? Pomp and Circumstance by Noel Coward ~ 1960 ~ Too silly for belief, but absolutely charming. A sun-drenched fictional island prepares for a Royal Visit. Beowulf by Bryher (Annie Winifred Ellerman) ~ 1948 ~ A London teashop in the Blitz is at the heart of this linked series of vignettes and character portraits. 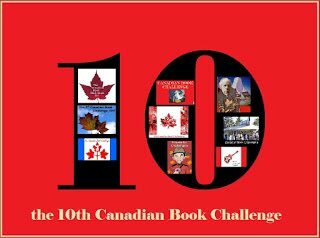 The calendar is on month 12 of the 2014 Century of Books, and much as I wish I could write pages and pages on each of the books already read but yet to be reviewed, I’m afraid it’s not going to happen. I need to start the new year with a clean slate, so this coming week-before-Christmas will see a whole slew of briefest-of-assessment round-up posts. Some of the books noted will be re-reads in the future, and I’ll have to see if I can do better then. 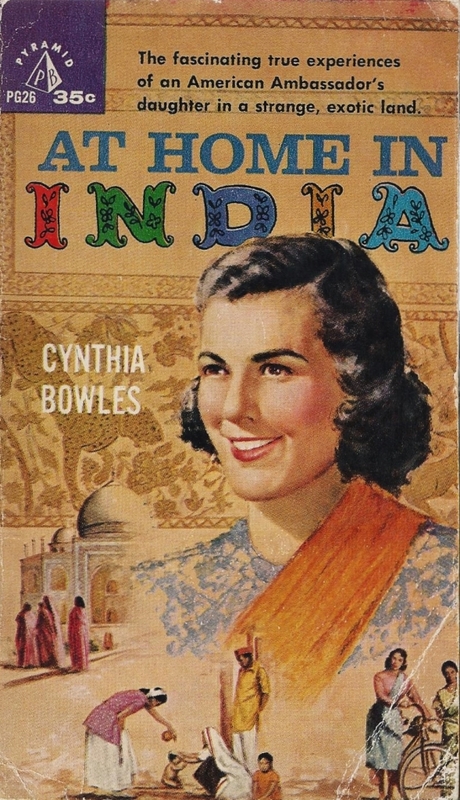 At Home in India by Cynthia Bowles ~ 1956. 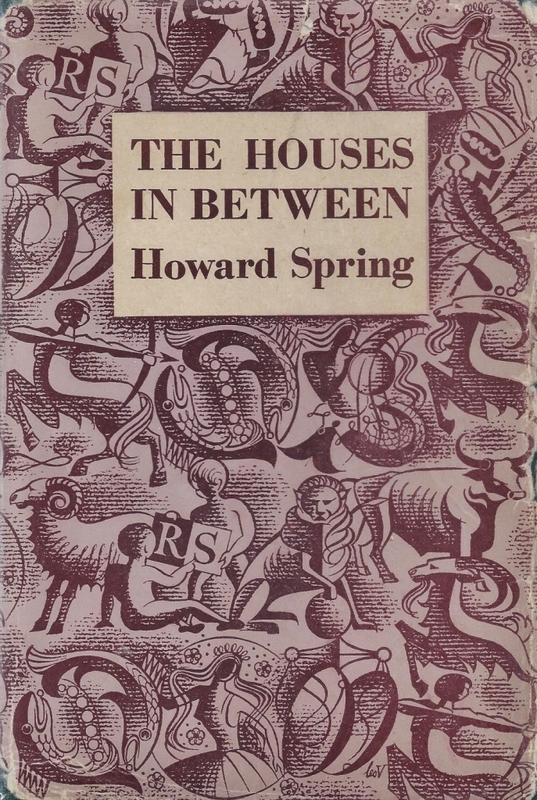 This edition: Pyramid, 1959. Paperback. 158 pages. An American ambassador’s teenage daughter records in earnest detail her experiences of two years in India in the early 1950s. The writing is plodding but the subject has its moments of interest, with much reference to Nehru and Ghandi, and Miss Bowles finds her stride in the later chapters as she stays behind for a few months after the rest of her family’s return to America. Flying solo, the author visits the homes of Indian school friends and does a bit of mild personal research into social programs. I went to India as a young, teen-age girl anxious not so much for knowledge as for the happiness and security which I was reluctantly leaving behind me in Connecticut. Consequently this is not a book of facts and figures. It is the story of what I did in India, of the places I visited, and of the people I came to know. 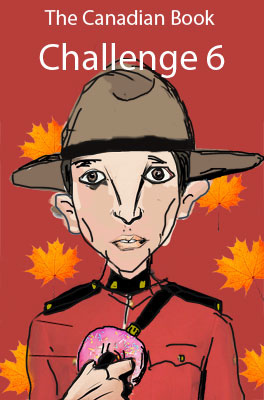 I write because I wish to share, as best I can with you, my experiences in this strange and wonderful land. And that snippet from young Cynthia tells you all you need to know about her writing style. Worthy topics of discussion aside, a bit of a bore, really. I doubt I’ll reread this one. 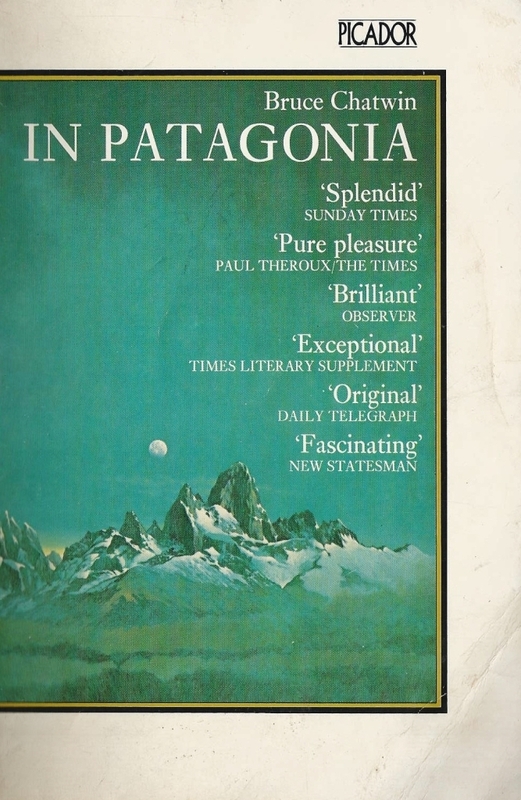 In Patagonia by Bruce Chatwin ~ 1977. This edition: Picador, 1979. Paperback. ISBN: 0-330-25644-0. 186 pages. 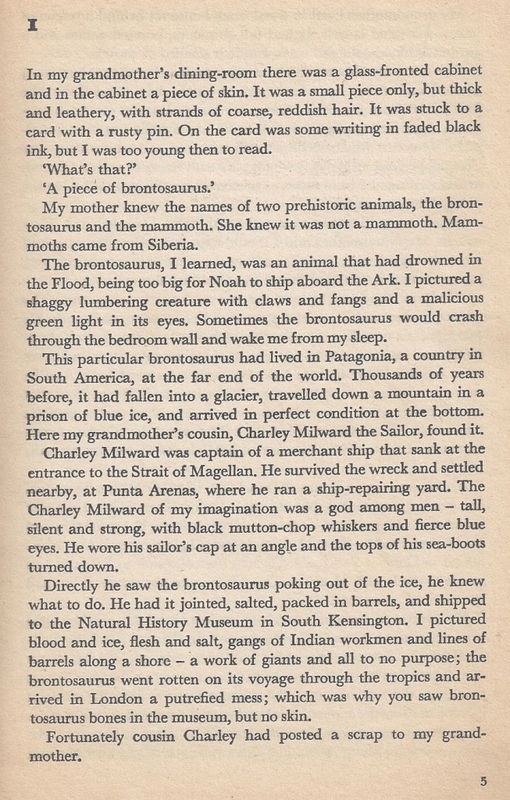 The brontosaurus turns out to be in actuality a mylodon, a giant ice-age era ground sloth, and the specimen in question apparently came (theorizes Chatwin) from a collection of bones, skin and fossilized sloth droppings boxed up for shipment to the British Museum at the end of the 19th Century. Chatwin refused to call himself a travel writer, though his best known books, In Patagonia and its equally quixotic Australia-set counterpart, 1987’s The Songlines, are superficially recordings of actual journeys. Chatwin embellished his tales with a goodly dollop of dramatic invention on occasion, though they read like the cold-sober truth. The many narrative gaps perhaps signal the bits of pure invention, or, just as probably, select bits of actual experience denied the author’s readers for reasons of his own. Presented in ninety-seven sections, from one-line observations to chapter-length expositions, In Patagonia hits a number of high points, one of which most memorably is a multi-faceted examination of the legendary outlaw triumvirate of Robert LeRoy Parker, Harry Longabaugh, and Etta Place. The first two are perhaps more famously known by their noms-de-guerre: Butch Cassidy and The Sundance Kid. Did they really die in a hail of bullets in Bolivia, as pop culture would have it? Chatwin explores the possibilities of their fates in intriguing detail, in between sharply crafted odes to the impossible and brutal beauties of the lands he travels through, and vignette-encounters with the real and historical inhabitants. Recommended, with the caveat that the best bits may quite well be fiction. Chasing the Monsoon by Alexander Frater ~ 1990. 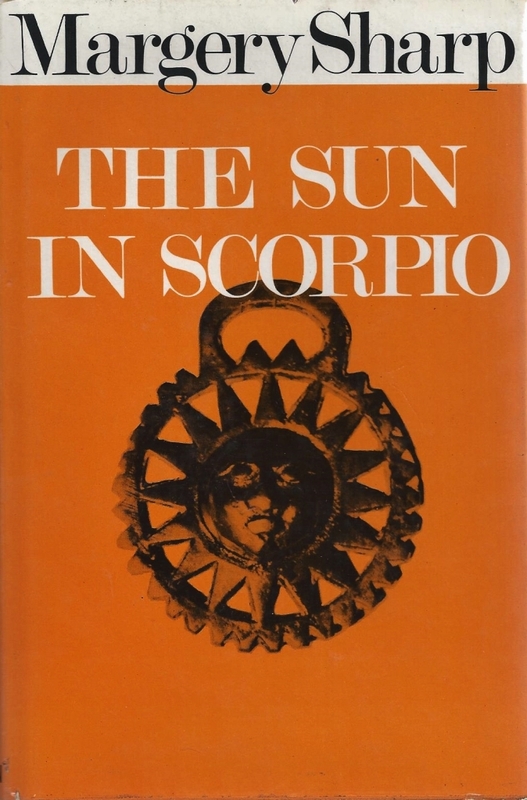 This edition: Penguin, 1991. Paperback. ISBN: 0-14-010516-6. 273 pages. 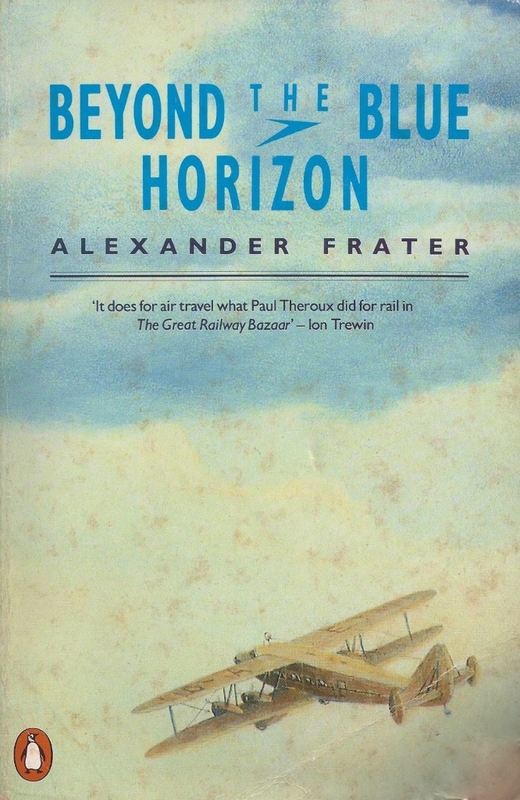 Back in September I read and later glowingly reviewed Alexander Frater’s Beyond the Blue Horizon. 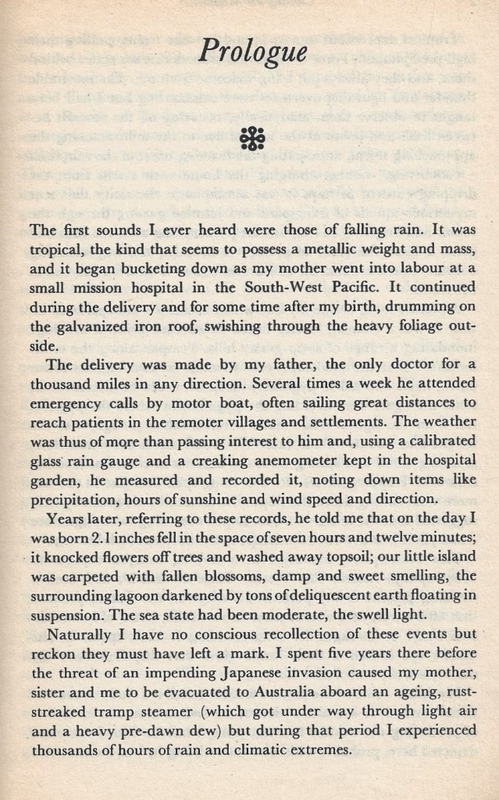 I am most pleased to report that Chasing the Monsoon, written four years later, is equally as excellent. The fascinating and revealing story of Frater’s journey through India in pursuit of the astonishing Indian summer monsoon. On 20th May the Indian summer monsoon will begin to envelop the country in two great wet arms, one coming from the east, the other from the west. They are united over central India around 10th July, a date that can be calculated within seven or eight days. Alexander Frater aims to follow the monsoon, staying sometimes behind it, sometimes in front of it, and everywhere watching the impact of this extraordinary phenomenon. During the anxious period of waiting, the weather forecaster is king and a joyful period ensues: there is a period of promiscuity, and scandals proliferate. Frater’s journey takes him to Bangkok and a cowboy town on the Thai-Malaysian border to Rangoon and Akyab in Burma (where the front funnels up between the mountains and the sea). His fascinating narrative reveals the exotic, often startling, discoveries of an ambitious and irresistibly romantic adventurer. This doesn’t even begin to describe the scope of this highly likeable book, which is part memoir, part ode to his beloved parents, and part better-than-conventional travelogue. Frater writes rings around such plodders (by comparison) as Eric Newby, and he comes off as nicer and more relatably human than the über-snarky Paul Theroux, and much more reliable than the skittish Bruce Chatwin. Frater is now firmly on my list of writers whose new-to-me books I will purchase without even peeking at the contents. Highly recommended for those of you who like this sort of thing, especially if you have a high tolerance for occasional (and always pertinent) inclusion of statistics and arcane terminology. Beyond the Blue Horizon by Alexander Frater ~ 1986. 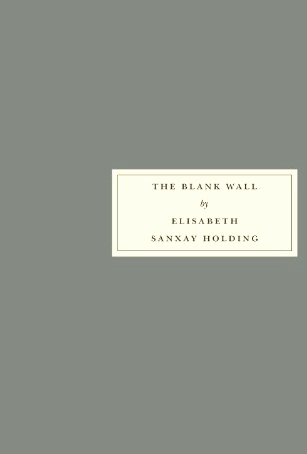 This edition: Penguin, 1987. Paperback. ISBN: 0-14-010065-2. 430 pages. The tiniest bit of transitioning muddle here and there lost the 1/4 point. Nothing at all serious, but just frequent enough to very occasionally interrupt the otherwise seamless flow. Okay, this one came (flew in?) from way out in left field. Or, to be completely accurate, the slightly ho-hum Nuthatch Books in 100 Mile House, B.C. I sometimes pop in there when passing through in my travels, mostly because it is conveniently located right next to the village’s premier (only?) coffee house, the Chartreuse Moose, which, at two hours driving time from home, is a perfect quick stop for a beverage in a take-out cup to see one on the next few hours of travel when heading for points to the south. Where was I? Oh yes, Nuthatch Books. The bookstore itself is very average, with mostly new stuff, and a fairish quantity of used. Stiffish prices on the second hand books, and not much in the way of a vintage selection, but I’ve picked up a few interesting things there now and then. Such as this book, which was a complete impulse buy, inspired by the promising title and a lightning-quick random-passage read. 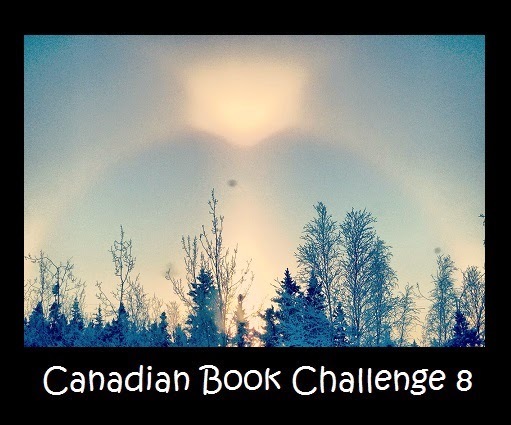 In this case, the book hunter’s instinct was rewarded. This was great. The romance and breathtaking of the legendary Imperial Airways Eastbound Empire service – the world’s longest and most adventurous scheduled air route – relived fifty years later in one of the most original travel books of the decade. The front cover of my Penguin paperback is emblazoned with the overly-familiar Theroux comparison – I quite like most of Theroux’s travel writing, but for goodness sake – can’t we occasionally reference someone else?! – and despite the initial annoyance this triggered, I found myself having to agree. Alexander Frater does share many of the best writerly qualities of Paul Theroux, though Frater’s voice is distinctively his own. I’m coming at this rather backwards, for no doubt if you’ve made it this far you’re wondering what the heck Beyond the Blue Horizon is actually about. It’s simple-ish. It’s an attempted recreation of an old commercial flight path from England to Australia, via Northern Africa, the Middle East, India, and South Asia, taking modern commercial flights and touching down at each and every one of the destinations referenced in the flight paths of the venerable Imperial Airways Eastbound Airways Service in its 1920s-30s heyday, when such a journey was referred to, aptly, as a “voyage”, and was more akin to a leisurely ocean journey in a luxury liner than to the sardine-can-squished, as-much-as-possible-non-stop, strictly-transportation experiences of today. Back in the day, the trip from London to Brisbane by air took two weeks, with something like 35 way stops. Most flying was undertaken in the daylight hours, and passengers and crew slept each night in generally quite posh hotels, many of which were purpose-built to serve the airways trade, much in the way that the great railway hotels of North America were constructed as an adjunct to the leisurely upper-class train travel of a similar period. Though definitely plotted with a book-in-mind – Frater was a well-respected travel writer and journalist well in successful mid-career when he embarked on this project – Beyond the Blue Horizon doesn’t feel terribly manufactured-for-sale, mostly because Frater is a true airplane enthusiast and a grand people person and an accomplished journalist, and he writes this slightly unlikely journey up in the most engaging way. He did his research first, lined up appropriate people to interview at pertinent points in his journey, and assembled a comprehensive number of long-ago accounts of air travel, which I wish could have been included in a bibliography, because the excerpts we are given are frequently intriguing. Accounts of Frater’s trip are interspersed with accounts of long-ago flights covering the same bits of territory, and this is where my only complaint comes in. There are so many different references to so many different pilots, travellers, airplanes and airlines that I occasionally got a bit lost among all the reminiscences, and had to back up an reread the passages where Frater connects the now to the then of each particular bit of his journey. But it always came right, and the juxtaposition of experiences absolutely made this book, so it’s a very minor demerit point given to an otherwise excellent bit of travel lit. Though I admire the concept of airplanes, I am not a comfortable flyer myself, and I read Beyond the Blue Horizon like I read accounts of mountaineering, or of sailing in small boats across the vast wastes of ocean – with admiration and interest but with no desire at all to emulate the experience. Writers who can keep me engaged in something so foreign to my personal comfort zone are quite rare, and greatly appreciated when found. Alexander Frater gets a shiny gold star from me for this one, and I already have a second journey-book by him purring promisingly on my bedside bookshelf: Chasing the Monsoon, 1990, in which Frater leaves rainy England for even more rainy India. Frater’s writing in Beyond the Blue Horizon is no less than excellent. He combines sober statistics with revealing asides in which his inner keenness comes out all schoolboy enthusiastic and highly likeable, and he wanders off topic just enough to keep things continually engaging. Frater also has a vast inner knowledge of the sort of esoterica in his chosen area of devotion which one comes across in other fields of interest, such as train buffs and vintage car people and those single-breed dog/cat/horse/you-name-it enthusiasts who occasionally, revealingly, let themselves go a little too far for the audience at hand, causing one to glance furtively about for an exit opportunity to escape the intensity of the one-topic conversationalist. Frater never goes too far.